Since being introduced to international audiences in1988 as the pianist in vocalist Betty Carter’s trio, Darrell Grant has built an international reputation performing with jazz luminaries including Frank Morgan, Tony Williams, Roy Haynes, Greg Osby, Christian McBride, Terence Blanchard, and Esperanza Spalding among many others. He has been featured on National Public Radio, and has toured as a bandleader and solo artist throughout the U.S., Canada, Asia and Europe. His critically acclaimed albums as a leader include his 1994 debut CD, Black Art, selected as one of the year’s top ten jazz CD’s by the New York Times, The New Bop, Twilight Stories, Smokin’ Java, and Truth and Reconciliation. Locally, Darrell performs as a member of The Bridge Quartet, with whom he recorded two CD’s, and fronting his own contemporary trio project All 4 Naught. 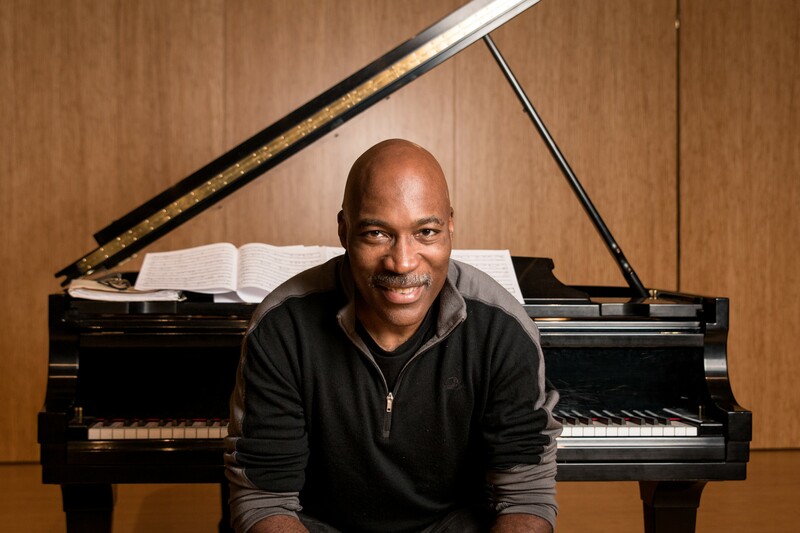 Darrell was inducted into the Jazz Society of Oregon Hall of Fame in 2009, and in 2011 was the first recipient of the Kamelia Massih Outstanding Faculty Prize in the Arts from Portland State University, where he is a Professor of Music and directs the Leroy Vinnegar Jazz Institute. He is a recipient of a 2015 Individual Artist Grant from the Regional Arts & Culture Council (RACC). 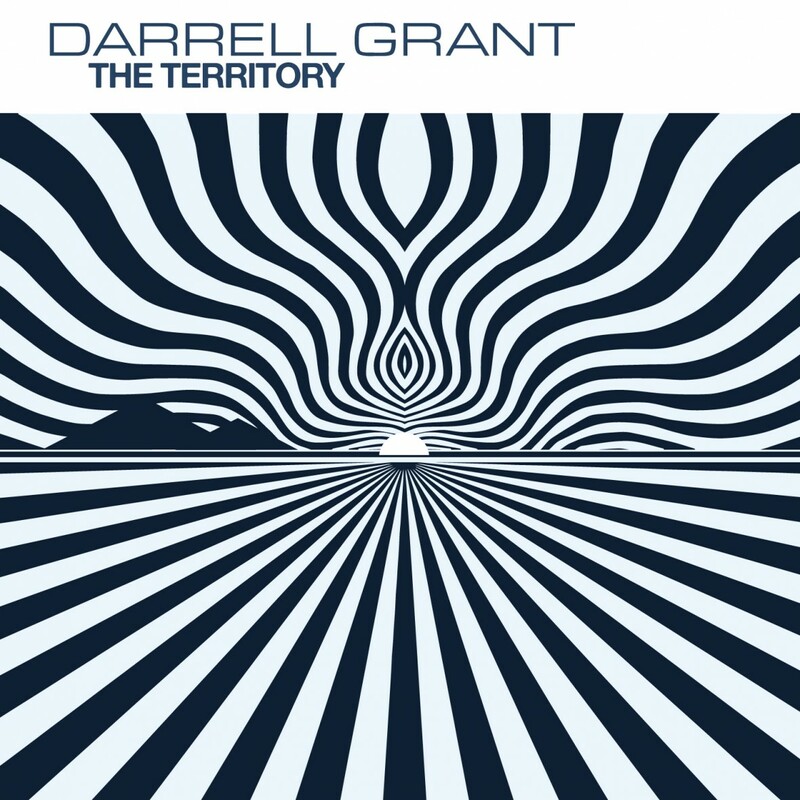 This is Darrell’s debut recording for PJCE Records. “The Territory” marks Darrell ’s seventh CD as a leader and his first since 2007’s critically acclaimed “Truth and Reconciliation,” which was selected one of the top 10 CDs’ of the year by The Village Voice jazz critic’s poll. Featuring a nine-member ensemble that includes Darrell’s long-time collaborators Grammy-winning drummer Brian Blade, Grammy-winning saxophonist Steve Wilson and celebrated vibraphonist Joe Locke, as well as renowned cellist Hamilton Cheifetz, Chicago bassist Clark Sommers, Portland vocalist Marilyn Keller, trumpeter Thomas Barber, and bass clarinetist Kirt Peterson, “The Territory” captures Darrell in an exciting 2013 world premiere performance presented by Chamber Music Northwest in front a sell-out audience at Portland’s Kaul Auditorium. In 2012, Darrell was one of 11 artists to be awarded a prestigious New Jazz Works grant from Chamber Music America to support the commission and premiere of a new work for jazz chamber ensemble. His extended suite “The Territory” uses both improvisation and composition to ponder the unique Oregon experience, reflecting on the state’s historical heritage as well as the incredible and diverse landscapes of the region. “The original idea for this piece came from my interest in the concept of ‘terroir,’ Darrell describes, “and the connections between art and place,” One aspect of place that Darrell chose to highlight in “The Territory” is Oregon’s uneven history in relation to people of color. “As an African-American, I can’t dismiss the irony of my claiming connection to a place whose constitution once expressly prohibited people like myself from living here,” Darrell says. Invoking the spirit of Oregon’s native peoples in its opening movement “Hymn to the Four Winds,” and “Chief Joseph’s Lament,” which is based on the historic Nez Perce leader’s controversial surrender to the U.S. Army, Darrell’s view of the territory draws on the contrast between the utopian myth of Oregon that persists in shows like ‘Portlandia,‘ and the more conflicted truth of our history. A movement called “Stones into Blossoms” looks at the forced internment of Japanese-Americans during World War II through the eyes of a small child, while the joyous “Sunday’s at the Golden West” celebrates a historic landmark in the heart of Portland’s early African-American community. All lyrics and music are by Darrell Grant except Chief Joseph’s Lament uses text attributed to Tuekakas, commonly known as Old Chief Joseph of the Wallowa Band of the Nez Perce. Development program funded through the generosity of the Doris Duke Charitable Foundation.